Stop. Don’t answer that – it was rhetorical. Smoothies are obviously very great. Some would say the greatest. 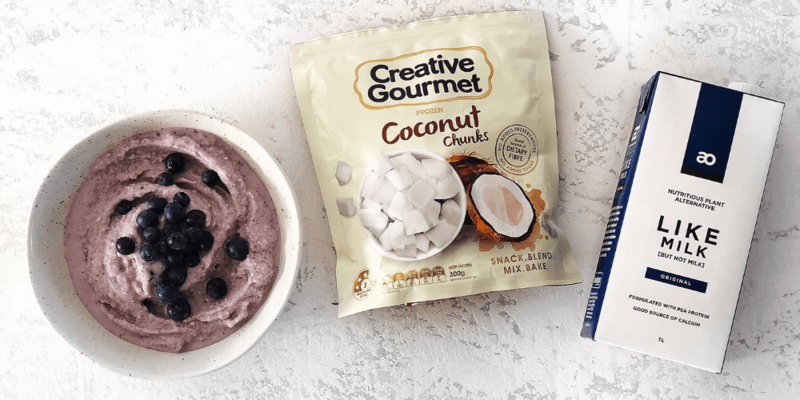 And now that the weather is warming up (with the exception of Sydney today, where it feels like winter again), it’s time to get smoothie-riffic, wouldn’t you say? Not everyone is into dairy though, so what to do when you want a hit of calcium and protein, but you want it without the side of lactose? 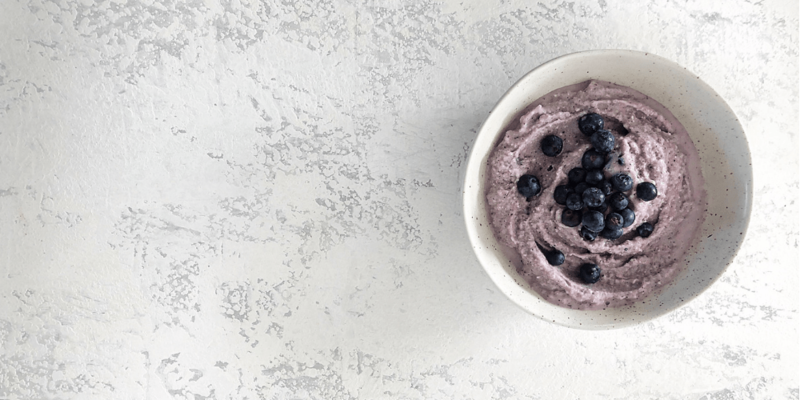 This blueberry, banana and coconut smoothie is your answer! It’s made on Like Milk, which is a plant milk made from pea protein, formulated with the same levels of calcium and protein but zero fat. Shlurp into a bowl and enjoy with a spoon. * Like Milk is available at the supermarket, or of course you could try this with another dairy-free alternative or regular cow’s milk.